Shedding pounds seems like a widespread American pasttime. An overwhelming majority of Americans — at least 45 million of us, according to CBS News — are on a diet. And yet the Centers for Disease Control and Prevention reports that 68 percent of people over 20 are either obese or overweight. A contributor to these contradictory statistics is the phenomenon of rebound dieting, in which all of the weight loss, and sometimes more, is gained back once the diet is over. Nearly 65 percent of dieters return to their pre-dieting weight within three years, according to Gary Foster, Ph.D., clinical director of the Weight and Eating Disorders Program at the University of Pennsylvania. 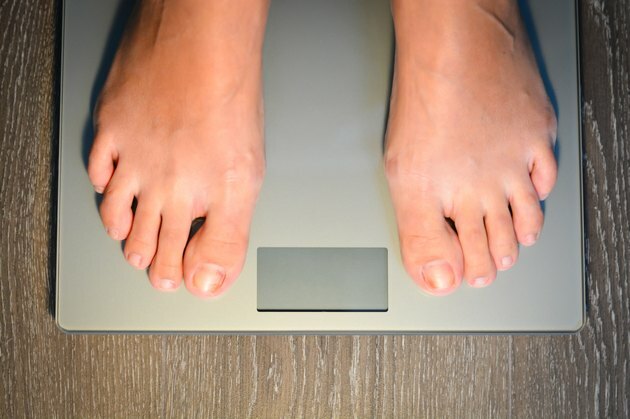 The statistics for dieters who lose weight rapidly, according to Wellsphere, a website sponsored by Stanford University, is worse. Only 5 percent of people who lose weight on a crash diet will keep the weight off. Crash diets include any unhealthy diet, from severe calorie-restriction diets to diets that consist of only a few kinds of foods. There are many reasons people regain weight after a crash diet. For example, if you lose a lot of weight quickly, it doesn't mean you're necessarily shedding fat. A lot of the lost weight could be water, and that comes back fast once you resume normal eating. Crash diets typically don't emphasize, or even mention, the need for regular physical activity, says the American Heart Association, which recommends an exercise program for keeping weight off long term. Losing weight quickly carries serious health risks. It can make your bones more frail and less dense; it can atrophy muscles; and it can wreak havoc with your immune system and leave you more susceptible to opportunistic infections. Your heart can also be damaged from extreme dieting. Cardiologist Isadore Rosenfeld, M.D., warns that crash dieting can cause heart palpitations and even heart attacks. Losing weight by changing your habits and taking your time is much healthier than losing weight quickly. A healthy rate of loss is 1 or 2 pounds per week. That rate is likely to mean your metabolism and body will adapt over time and the weight will have more of a chance off staying off. Also, it gives you an opportunity to evolve your eating and exercise habits to maintain a more healthy lifestyle, which is an effective method of maintaining a healthy weight. How Long Does it Take a Person to Lose 50 Pounds? How Much Weight Can I Lose in 21 Days?